OM International Machine Tools is one of the leading Manufacturer & Exporter of Vertical Turning Lathe which is useful for turning and milling applications. 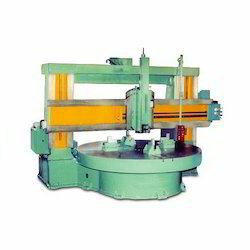 We are one of the leading manufacturers and suppliers of Vertical Turning Lathe Machine. The offered vertical turning lathe machine operates by rotating the work piece on its axis, for performing the operations such as sanding, cutting and drilling. Our supplied vertical turning lathe machine is available at very affordable and economic market selling rates. Main Motor H.P. 15 H.P. 15 H.P. 20 H.P. 25 H.P. 30 H.P. 40 H.P. 40 H.P. 50 H.P.